There are 12 star signs in a year. Every individual born under each star sign has some distinct traits that set them apart from the others. 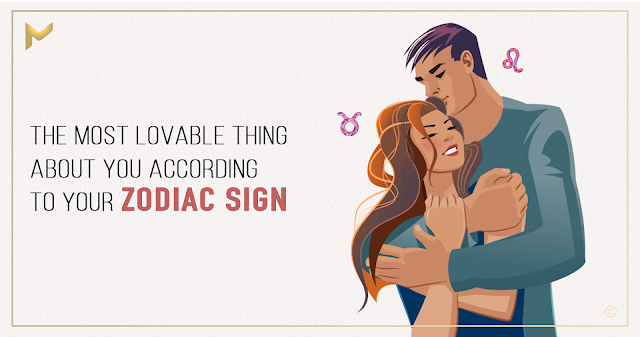 Similarly, each zodiac sign may have some flaws, but it is their good qualities that make us like or love them. We don’t trust everyone, but there might be some indicators of lovable traits in them that we should willingly explore. But what is the best thing about each zodiac sign? Ever wondered what is the most lovable quality of each sign that attracts others? Read on! Sagittarius are sparkling personalities. They love adventures. You’ll find them with great optimism even when in bad circumstances. They are the life of the party and get invited to social gatherings to spread liveliness. The attractive energy of a Sagittarius is felt by their friends and mates while spending time with them. Objective and balanced in nature are the Logical Libras, with a distaste for criticism and conflict. They love interacting with other folks. A Libran has a fair mind and justice is its motto. Love for beauty, relationships and intellect is their natural quality. Which is why many human beings get attracted to their charming personalities. Passionate Scorpios are one of the most hardworking people you’ll ever meet. Inspiring people for excellence and zeal is one of their lovable traits. They are never reluctant to set goals. Scorpios are ambitious but humble as well. Their ambitious personality is a major turn on for others! People these days lack generosity due to competition between them. People who have abundant resources are usually disinclined to share them with others. Leos are generally loved by people for their generous nature. They are reputed to be thoughtful beings with a magnanimous heart. Being a Cancerian, you’re famous for being very sensitive. You’re full of empathy for others. You are also always mindful of what you say. You duly know that wrong words can never be taken back. Bad treatment by others after giving them good treatment is what you strongly detest. Virgos are like Geminis. Their known traits are intellect and intelligence. They rarely brag about their intellectual pursuits and knowledge – but occasionally do come in the spotlight. People love how discreet and humble Virgos are. The sensible Geminis are very cultured people. They’re familiar with a wide variety of profound topics regarding knowledge and culture. Sophisticated folks, yet great with research skills. Strike up a conversation with a Gemini to stimulate your intellect. They always encourage you to learn something new, like Virgos. Aries people are prominent due to their loyalty. They come across as very introspective individuals. Although shy and introverted, they are always in search for people to be with them. This Zodiac sign has high levels of empathy and consideration for others. Everyone loves hanging out with Taurus people because they make others feel comfortable. A Taurus is very receptive to new ideas. Romance comes naturally to them and they can be very affectionate partners. They dislike snobbery and never let others feel inferior. They treat humanity with equality, which you can perceive when in their company. Capricorns are hilarious people who tend to crack a joke one way or the other. Their comedic timing is excellent. A conversation with a quick-witted Capricorn leaves you speechless. Fidelity is also one of their chief qualities. Forgotten how to laugh? Dive into a relationship with the lovely Capricorn. They’ll surely make you giggle! It’s a challenge to find people like Pisces. They are the kinds of people who are compassionate, empathetic and heedful about others with great interest. They’re essentially humanitarians. Pisces willingly invest in the future of the people whom they’ve met, surprising them as a result.Pisces shower you with unlimited kindness. You’ll find them initiating charity and volunteer projects. The welfare of others concerns them the most. They are extraordinarily unique people who somehow manage to arouse other human beings’ interest. They make others get interested in them. While some folks’ eccentricities and mad antics are a major turn-off for others; Aquarians are exceptions in this regard. Sincerity, honesty, and truthfulness is in their blood. They’re very endearing. Their peculiar nature makes them very sensational in the society and people start admiring them instantly.